Wessanen is inspired by nature in everything they do and a leader in healthy & sustainable food in Europe. Their brand names all have strong local roots and are among the pioneers of the organic market in their country. Their products fall into 6 categories: Veggie meals, Dairy alternatives, Sweet in between, Breakfast cereals, Bread and biscuits alternatives and Coffee & Thea. Efficiency and effectiveness of their entire value chain is a key driver of value for them. New initiatives to standardize planning processes and develop sales and operational planning (S&OP) across Europe aim at assuring service to the markets, while in the same time maximizing efficiency and minimizing waste in production, warehousing and transport. After design and implementation of a standard European S&OP process, Wessanen has asked Involvation to help them bring the Supply Planning process to the next level. The group, consisting of Country Supply Planners and Factory Schedulers, is taken through a learning program covering all aspects of Supply Planning. The learning program is a blend of eLearning, exercises, classroom training and on-the-job coaching. Based on the training and facilitated by Involvation, the group reviews the existing processes and defines an improved way of working. Following this approach it is ensured that real improvements are made by putting the “theoretical” learnings into practice. Look-O-Look is part of the Perfetti Van Melle group and has been developing successful candy concepts together with customers for more than 45 years. The company wants to distinguish itself by creating a surprising candy world and therefore offers a very high degree of flexibility and customer focus. The sales volume has grown strongly in recent years, which has led to increased workload and production capacity utilization. As a result, the desired flexibility has come under pressure. Look-O-Look has asked Involvation to support her in structuring and adapting its processes towards “Demand Driven Supply Chain Mgt”, so that flexibility and reliability remain at the desired high levels, without major expansion of people and production resources. For the “Supply Chain Go to Market Lead” function for Central and Eastern Europe, an internal candidate could not be made available quickly enough though. From June onwards, Involvation IM therefore fulfils this Hamburg-based position on a temporary basis with one of its interim supply chain professionals. In addition to the responsibility for Demand Planning and Customer Service, the role includes supporting the transition to the new organization. O’Neill, the original California surf, snow and lifestyle brand, strives to inspire people and empower them to do what they love doing most. A fast, flexible and reliable supply chain is indispensable in this approach, which is why O’Neill is continuously looking for ways to improve its supply chain performance. O’Neill recently asked Involvation for support in redefining its supply chain strategy and realizing the supply chain design. The lifestyle brand Rituals Cosmetics was launched in the Netherlands in 2000. With its appealing luxury products, it was built around the philosophy of transforming daily routines into special pampering moments such as a rich, aromatic bath, an exclusive cup of tea or even upgrading an everyday chore such as washing the dishes. That’s what Rituals is all about: taking a mindful approach to the little things in life and enriching them with a touch of luxury. The Rituals collections are based on oriental traditions; centuries-old knowledge is combined with carefully selected ingredients and fused with innovative technologies. As a result, consumers can create an authentic hammam experience in their own homes, redress the balance between their yin and yang with the Tao range, and benefit from the power of Ayurvedic wisdom in their tea, body scrub or essential oils. Rituals is growing strongly. There are more than 400 Rituals stores worldwide and the products are also available from the webshop as well as almost 1,400 shop-in-shops with retailers such as De Bijenkorf. Additionally, Rituals products can be found in over 25,000 hotel rooms and even on aeroplanes. In order to facilitate further growth in the years ahead while maintaining the company’s flexibility and high service level to its stores and points of sale, Rituals is keen to further professionalize and improve its Sales & Operations Planning (S&OP) process. Rituals has asked Involvation to optimize the current S&OP process and to provide support during implementation. Refresco Gerber is a leading European bottler of soft drinks and fruit juices for retailers and branded players with 27 production sites in 9 countries in Europe. Its head office is based in Rotterdam, The Netherlands. Refresco has started a project to optimize and professionalize the Integrated Business Planning (IBP) processes. Main goal is to make better, integrated decisions in Sales, Purchasing and Supply Chain on a 4 to 18 month horizon. Financial predictability is seen as an important outcome of IBP. Refresco has asked Involvation to design the IBP process and to implement IBP in the different Business Units. Bavaria is the largest independent Dutch brewery. Bavaria has brewed high quality beer since 1719. Yearly production nowadays exceeds 6 million hectoliters and is produced by more than 1000 employees spread over 5 European sites. The beer is supplied to over 120 countries. The brewery in Lieshout (NL) is the largest production facility. Bavaria is a 100% family owned company, led by the Swinkels family. Supported by Involvation, Bavaria has renewed its supply chain strategy. One of the projects resulting from the renewed strategy was the development of a Sales & Operations Planning process. Involvation supported the Bavaria project leader responsible for developing the S&OP process at creating the framework. During the implementation phase, Involvation acted as sparring partner for the project leader and process stakeholders. 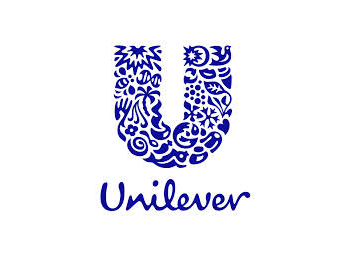 Every year Unilever Benelux hosts a two day supply chain event with their complete team. Sharing information and teambuilding are central topics during these days. The Fresh Connection turned out to perfectly match these goals: gaining new insights in an original way, and increasing the understanding of interdependencies. During the first shared session it was shown that the 150 people could take joint control over The Fresh Connection by means of a voting session. Afterwards the group was split into smaller teams that all competed to form the most optimal supply chain. Unilever complimented Involvation on the way they helped a large and diverse group of professionals gain new insights in a fun and quick way. It is no surprise that the participants evaluated the session to be a big success. 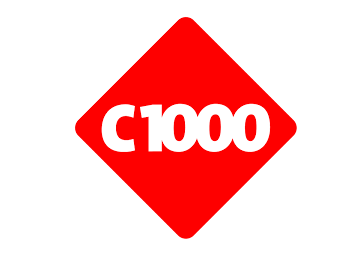 With 400 supermarkets, C1000 is the second largest supermarket chain in The Netherlands. The C1000 headquarters in Amersfoort supports the entrepeneurs in their daily business affairs. In order to assist the C1000 managers in their weekly order process for promotion goods, C1000 will share customized order recommendations with each individual shop. Involvation was asked to expand the promotion forecasting tool that they built for C1000, to also generate shop specific order recommendations. Orangina Schweppes Group is famous for its iconic brands and specialized in the manufacture, distribution and sale of soft drinks. Orangina Schweppes Group is currently Number 1 on the still fruit drinks market in Western Europe and Number 2 on the non-cola market. Its portfolio includes many well-diversified brands, including core brands like Orangina, Schweppes and Oasis. Products are sold in over 80 countries throughout the world. Orangina Schweppes wanted to improve the internal supply chain alignment and asked Involvation for support. First step was the definition and priorization of improvement initiatives in a facilitated workshop. The next step was the setup of an operational S&OP-process, as this was the initiative with the highest priority. This process requires the involvement of the production plants as well as the central demand and supply chain departments. Involvation provided coaching and guidance to support the implementation.